(Migrant) Migration/Travel 8 Sep 1868 Sailing with Dr Thomas Elmes Sarah Bamford Elmes to Melbourne, VIC, Australia. Ship Antiope sailing from Liverpool. Dr Elmes was ship's surgeon. Arrived on 19 November. "Can you keep a secret ? I hope you really can"
Frances Fitzgerald Elmes, the daughter of a medical practitioner, spent her childhood in Berwick, Vic. She worked as a journalist in Melbourne in the late 19th and early 20th centuries. An early feminist, she was the author of the performed, but unpublished, play 'The New Woman' [189-?] and of The Melbourne Cookery Book [190-?]. She went to London in 1905 and worked as a journalist on Charles Chomley's (q.v.) British Australasian. Her relationship with Chomley was depicted in a fictional guise by Chomley's nephew Martin Boyd (q.v.) in his Langton novels. (Migrant) Migration/Travel Jul 1902 To Sydney, Australia. Ship Australia sailing to Sydney? Article 8 Apr 1905 The article reads: DREAMS AND THEIR PORTENTS. said he had very nearly dislocated his neck in exactly the same manner that occurs when people are hanged. Publication* 1906 Frances Fitzgerald Elmes published: The Melbourne cookery book : compiled especially with the view of assisting the housewife in the cottage and villa home who must carefully study ways and means / by F. F. Elmes. Description: xiii, 160 p; 18 cm. Publication 14 Jan 1911 She published: THE DESERT. By F. F. Elmes, in the "British Australasian." The desert was sad. It was alone, al ways alone, and the few travellers who hurried across it hated it; and called it horrible and cruel. If now and again a tender plant pushed its head through the sand, and saw to what a land it had come, it shrivelled away sadly and died. And when sometimes a traveller was lost in the desert he spent his strength for weary days and nights in seeking the way out, until at last he sank down, never to rise up again. Then the crows would come. The crows were not afraid of the desert, be cause, flying high into the air, they could see the far-off tree tops where they lived. But they never stayed on the plains; noth ing ever stayed except the bones of dead things that lay white and gleaming in the sun. Even he did not love the desert; he liked to shine, not upon stunted scrub and sparse prickly herbs, but on flowers and grass, on running creeks and rivers. He complained that the desert killed every thing, and that if he persuaded any green thing to show its head it only pined away and died. Sometimes a fierce north wind came and sported with the desert, tearing up the sand in great clouds, twisting it into a whirling column, and dancing madly with it across the waste. At such times the desert felt a fierce happiness; then only had it a chance of movement and change. It went mad with the north wind; the two in their play were very terrible, and the unfortunate who happened to come in the way of their awful sports was never again seen alive. Perhaps long afterwards an-other wild game might sweep off the sand that covered the whitened bones. And then one day men came to the desert, bringing with them horses and carts loaded with tents, and water tanks, and food, and tools. The crows, flying high above, had seen these things before, and they knew that their days of fatness on the sandy plains were over; but when the desert asked them what it meant they only croaked and flew away. Then the men began digging trenches. The north wind arose and blew its hardest; but the men waited behind a shelter that they had built till it was all over, and then they cleaned the trenches of the sand blown into them, deepening them and widening them till they were like river channels. Day after day the work went on, until the face of the desert was scarred and criss-crossed with trenches of all sizes, from wide canals to narrow ditches. The desert grew used to the new state of things, to the digging and carting, to the neighing of horses, to the long evenings—not silent now, but alive with laughter and song. The desert began to feel happy, be lieving that at last men loved it, and had come to dwell on its expanse. Then one morning work ceased; tents and tools were packed upon the carts, the horses were harnessed, and many of the men departed. But a few remained, waiting idly for hours, seemingly in expectation of some great event. At last it happened, and there was much joy among the onlookers. Down the main channel came slowly a brown, crawling thing. It had no head, no tail; it never ended. Slowly it crept over the hard baked bottom of the trenches, soaking their banks, flowing from the great canals on and on into, the narrow ditches, filling them, and making little swirling noises. Here and there small clods of earth fell with, a splash and disappeared. Gradually all the trenches were filled to overflowing. When night fell the men went away, and the desert was left alive with the creeping thing that lay cold and still on its bosom. The moon rose, and looked down on a second moon which showed dimly on the surface of the brown thing, and the desert was full of wonder and fear. Very falteringly it spoke to the moon, and said: "Always we have been alone at nights, you and I, and you found all the little hollows and made them black, and the great stretches you turned to silver, and now this unknown creature has come to warm itself in my very heart, and you bend over and caress it as you used to caress me, and you bring another moon not to me, but to be a companion to this ter rible brown thing." The moon made no answer, for it could not explain what water was to one who did not even know its name. Sometimes vagrant showers had swept over the desert, but these had been so light and passing that they had merely tickled the great sandy surface, and had never been sufficient to wet the soil. All night the desert, was afraid. Then the dawn came, and a crimson sky blazed in the east. A soft little south wind swept over the water, blowing it into tiny ripples. "What is it? Oh, tell me?" cried the desert. The south wind was silent. How could he, though he knew rivers and lakes, the wide sea, soft showers and tropical cloud bursts, explain what water was to one who knew nothing of such things. Article 26 Dec 1912 The article reads: Dundee Courier: Barking Dogs disturb neighbours, and owner is summoned and fined. Note During this time, Chomley’s London home in Ladbroke Gardens became a social hub for his fellow Antipodeans; as Brenda Niall writes in her biography of the Boyd family, Chomley’s restless temper and radical ideas fostered an environment in which topics of any manner could be discussed. During this period of his editorship, a relationship was purportedly cultivated with fellow British Australiasian contributor and his wife’s closest friend, Frances Fitzgerald Elmes (known as Frances Fawkner); it has even been suggested that Chomley fathered two of Elmes’ children. By 1914, the British Australasian was firmly established as a fixture of the Australasian community in London. Chomley would remain editor until his death in London in October 1942. 31 Dec 1881, A MERRIE CHRISTMAS APPEAL. TO THE EDITOR OF THE ARGUS. Sir, In another column I return my grateful thanks to the kind friends who have responded so liberally to my appeal on behalf of the inmates of the Immigrants' Home for the Houseless and Destitute Poor. The total amount I have received in money is £123 15s. 9d., besides a large quantity of clothing, and other articles in kind. I cannot refrain from giving special thanks to Mrs J. C. Bray, who for the second time has canvassed personally for donations in kind and money, the long list of which will be found elsewhere ; also to the young ladies of Mr. R. H. Budd's educational institute, who have again sent a valuable parcel of new garments ; to Miss Hare, of Hotham-hill, whose music pupils sent a number of useful articles and toys ; and, last, to Miss Frances Elmes, of Berwick, from whom a sum of £3 8s. was received, being the total of a large number of small sums which she, aided by two little friends, collected. 11 Sep 1895, Berwick. A very successful vocal and dramatic entertainment, in aid of the funds of the local mechanics' institute and free library, was held in the Rechabite hall on Friday evening last, and, despite the unfavorable weather, was largely attended. General regret was expressed at the absence of Mrs H. J. Rankine, one of the most energetic workers in organising the affair; she was unable to attend through illness. After an interval of five minutes a farcical comedy, entitled The New Woman was produced, the characters being undertaken as follows:—The Rev Theodore Sloppy, Mr C. Walter ; Jeffrey Heathcote, Mr J. B. Wilson; Pat, Mr J. Elmes; Pussey Perkins, Mr R. Elmes; Gussey Perkins, Miss Pitcairn ; Lillie Trott, Miss Elmes. The piece was from the pen of a local writer and appeared to take very well with the audience. The principal part was that of the Rev Theodore Sloppy, who falls into the hands of the Misses Perkins; as also does Jeffrey Heathcote. The new women teach the Rev. Sloppy many things that the orthodox man of the cloth is supposed to know nothing of, and the abovenamed four finally pair off. The piece was gone through nicely and evenly. The accompaniments during the evening were efficiently played by Miss Nellie Searle. Stonington was built some nine years ago. It is situated in Glenferrie-road, near its junction with Malvern road, and commands a very fine view of the Dandenong Ranges and the country lying between. The build-ing which is in the modern style, with wide pillared balcony, facing north and west is in colour a light grey, and is Iarge and very comfortable in every detail. It contains 20 rooms exclusive of pantries, kitchens lavatories and bathrooms and of these the most noticible are on the ground floor. The main hall which is divided half-way up its length with pillars and screens is in French Renaissance style panelled in carved American oak. Its parquet floor is mainly covered with Persian rugs. There are all manner of comfortable chairs, couches and divans scattered about. Big palms overshadow quaint India and Japanese bronzes. A grotesque dragon with the faithful detail, and in the extraordinary attitude which delights the Oriental mind, holds a lamp, and a bronze Manniken grins at her cheerfully from his stand on an inlaid table. It is possible to move all the furniture, bronzes and statues in the space of a few minutes and leave a big room for dancing, the square space only broken by the pillars and the wide staircase which runs down into the centre. On the right the diningroom, its bow window facing the front lawns is pannelled in oak also its decorations being in early English style. The tapestries hung on the walls are some of the now very rare Windsor tapestries, and were designed by Percy Anderson, famous in London as the dress artist for the most celebrated actresses and smartest society women. The large chandelier is of very quaint design, being a kind of copy of St. Giles's Cathedral, Edinburgh. The drawingroom attracts general atten tion. It leads directly from the hall, and is exquisite in colouring and general effect. It is Louis XV in style, and its gold suite is covered in hand wrought tapestry, with Watteau figures and flowers on a cream ground, each chair and couch having its own particular design. The walls show a very charming frieze, the pastoral scenes in the centre of each being the work of Mr John Ford Paterson. The ceiling itself is panelled in amber, turquoise blue; and gold. Leading from the drawingroom is a dainty boudoir, where Cupids sport on the ceiling, and blue true lovers' knots adorn the dainty white mantelpiece. The walls are decorated with repousse work and silk tapestries and there are fragile satin-wood tables and all manner of bric-a-brac. There is a comfortable library, a morning-room which hoists several fine pictures, and be yond this the billiard-room, in which is a genuine Landseer. The oak staircase leads in wide low steps out of the hill, and up into a gallery on the landing the many bedrooms lead out of this, and are exeedingly comfortable and well arranged. The state Governor cannot fail to feel that his lines have fallen in pleasant places in at least as far as his home is concerned. As regards entertainment, there is every opportunity and facility for it. The lawns offer charming spots for a marquee. The wide verandah, lighted, as indeed the whole house is, with electric light, will seat several hundred guests, and suggests an ideal place for supper or afternoon refreshment. The hall, as has already been stated, makes an admirable ballroom. And with all these possibilities for entertainment, the house is yet essentially homelike and comfortable. There is consternation among housekeepers. Meat is going up in price—has already gone up. Butter, milk, and eggs are dearer, yet the same allowances must cover the week's bills. What is to be done? Economise! "I have economised all I can," exclaims the harassed housewife "I can't feed the family on beans and macaroni." Without having vegetarian meals, there still remains something to be done. And the first step is to learn to cook. With that knowledge everything is possible—without it nothing. Learning cooking too often means learning how to make and ice a few cakes, how to make a trifle, a fondue, and, may be, even a souffle or an omelet. These accomplishments are little more than frills in the ordinary kitchen, and bear close resemblance to the capabilities of the singer who sings songs in a foreign language, with no knowledge of the language itself. Learning cooking should mean as thorough an acquaintance with prices, with economies, with making things dovetail, as with the various materials and condiments themselves. The Australian housewife has earned a deservedly worldwide reputation for extravagance in culinary matters. She is too often content to run through such a menu as the following:—Chops for breakfast, cold beef for lunch, roast mutton for dinner, rump steak for breakfast, hash for lunch, boiled mutton for dinner, sausages for breakfast, cold mutton for lunch, roast beef for dinner, and so on. At the end of the week, contemplating an enonnous butcher's bill, she exclaims bitterly, "What am I to do? We must have meat. Hie boys won't eat anything else, and I simply can't afford it, yet we waste nothing." By wasting nothing she means that she never throws away cold meat. Quite what housekeepers of this type are going to do through the coming winter it is impossible to say, unless they are willing to learn cooking from a competent and economical teacher, otherwise they may be forced to put their families on half rations, with occasional meals of haricot beans and rice. It is cheaper to cook well than badly, cheaper to have four or five courses in the place of two or three. There will be much more serving and washing up, but the saving will be pronounced. But, again, it is repeated, the housewife must herself know how to cook that she may teach her servants. In speaking to an accomplished house keeper who has the smartest little dinners possible, and whose butcher's bills for all that are delightfully small, she related an experience that befell her the other day. I received a telegram saying that two friends were coming to dinner with me, I had intended going out to dinner myself, as, save for the servant, I was alone in the house. In the safe were two very small chops, a slice of beef, and four tomatoes. I had only one hour before me, and this was the material for dinner. I sent out for a pound of Murray cod, a 6d tin of cream, and 2lb. of pears. I put the chops on to stew and to make a little stock, their ultimate fate with the assistance of the slice of beef, being rissoles. The cod was put on to boil, and with the tomatoes, some milk, cream, and necessary flavouring, I made tomato soup. The result was very fair, though I say it myself. The tomato soup was followed by fish creams; the rissoles, piled on mashed potatoes, and a gravy made of the stock well flavoured. Mind, I have taught my servant how to fry. And that is an accomplishment which is so rare in Australia as to be almost non-existent. There fore those rissoles, egg and bread crumbed, with correct seasoning, were really good. A joint, of course, was out of the question, so we concluded our meal with stewed pears, rice, whipped cream, and, of course, cheese and coffee. I doubt if the whole thing cost more than half a crown. When one can cater at that price, there is still hope even if beef is 9d. and chops 6d. a pound." "But," exclaims an impatient housewife, "what use would it be for me to set a little dinner like that before my four hungry boys, my hungry self, and my hungry husband?" Certainly in such a case a menu like the above is useless, but here lies the secret of economy, for all that. Have a joint for the piece de resistance, but take the edge off the big appetites with a good soup and an entree. Soup is one of the cheapest things possible, and may be delicious; it is by no means necessary for it to be the wretched Julienne, which nowadays is only coloured and flavoured with the memory of bygone richness and glory. Nor does a consomme suggest any thing good, for it is, as a rule, first cousin to the stodgy white sauce poured over cauliflower. It is quite within reason to make excellent soups, each with an identity of its own at the smallest possible cost. A good white soup is one which owes its existence to the stock in which yesterday's fish was boiled. It has had the head and other fragments returned to it, has been reboiled, strained, milk cream and flavouring have been added, and it is excellent. Hare soup is made from the remains of jugged hare, with brown stock added. All kinds of vegetable soups, not forgetting pea soup, which, when well made, is excellent. After a good soup, chicken souffle—which, though made of a 4½d. rabbit, no one suspects when whipped to a cream. Then roast beef and plenty of vegetables, and the six big appetites will surely be sufficiently dulled not to need a very large helping, or, at any rate, not a second one. Afterwards sweets of some description. The following day the sirloin will appear cold, following artichoke soup and devilled kidneys. It will be surprising if that sirloin does not put in an appearance on the third day in the form of rissoles or such like. Another point. Let every housewife learn how to make a curry. Too often one meets a dreadful hybrid, whose father is hash and its mother stew, differing from them in that it is a pallid yellow green in colour, its indiarubber-like body floating in a sea of thick yellow liquid through whose surface peer flaccid rings of onion. That is not curry, even if it does owe a small debt to the curry powder bottle. Nor is the dull gluey mass plopped round it worthy of the name of rice. A true curry is not difficult to make, but it requires brains—human brains—and when it is made and sent to the table with a loose pile of snowy rice on a dish beside it, it is a fascinating thing. A wise housewife boils a large quantity of rice—a really good curry needs it. One of the great points about curry is that it is satisfying; it is too rich to eat very much of. In England, though meat is always very dear, one finds households where the in come is a small one, but where, for all that, the meals betray no meanness, nor even economy. The English housewife has learnt a lesson which Australians would do well to take to heart—that cheap things are not necessarily nasty. There are all manners of good dishes waiting to be made out of what may be described as odds and ends. In England more attention is paid to vegetables, they become quite a feature at any and every dinner-table, and it is more than worth while to pay attention to the various ways of preparing vegetables for the table. There are other ways of cooking even a cabbage than boiling it. As for rabbits, which we have always with us, they lend themselves most satisfactorily to all sorts of dishes. Not only stewed, fricasseed, turned into chicken, made into scallop, souffle or pie, the rabbit is also useful for stock, for the basis of my dish for which white meat is required. And with the big white Murray cod or even a barracouta, there need never be any trouble about a cheap breakfast dish or entree. In cooking, as in everything else, if a thing is done well it is a success, therefore to attain success in economy of cooking never let the store-room run out of essences, flavourings, sauces and chutneys; they are the backbone of made dishes, and the cook, who endeavours to "do without things" invariably fails in the end, and rouses an unprofitable and annoying discussion of the merits of such and such a dish, paterfamilias probably forbidding its reappearance at any time if he happens to be in a bad humour, and all that it lacked maybe was a flavouring or a sauce. 7 Nov 1902, Additional stimuless will be given to the stream of generosity in aid of the starving farmers of the north, by the remarkable article by "Lino" in the "Argus" on Saturday. It is the plain unvarnished narrative of an eye witness, who has been commissioned by that journal to investigate the domestic side of the doleful picture. "Lino" has driven across the Mallee and interviewed the women folk in order to ascertain something of the struggle for existence which is being so nobly maintained by these brave partners of brave-hearted men. Notwithstanding the hardships which they have endured and the prospects of starvation staring them in the face, there is no whining or complaining on their part. Their duty as they conceive it, is to bear a cheerful view and smiling face when possible, in order to encourage the husband in his heartless tusk of fighting against the hostile forces of Nature. 21 Aug 1903, It is not often nowadays that at a second annual meeting of a comparatively new society the financial position can be declared to be "entirely satisfactory," but this has happened with the Writers' Club, and should serve to dissipate the idea of woman being only another name for extravagance. The Club affairs in question have been exceedingly well managed, and the report and balance-sheet presented give much satisfaction. Several very pleaseing gatherings have taken place during the year, and the Club seems justifying its raison-d-etre by forming a bond of union among members. 1 Sep 1904, The Austral Salon was charmingly decorated on Monday last with masses of wattle blossom and wax-like camellias, when Mrs. Joseph Saddler gave an afternoon party. The hostess received in a black striped broche, appliqued with satin bands; toque of black and white chiffon. There were a large number present, amongst whom were Lady Madden and Miss Rowan, Lady Gillott, Lady Davies, Mrs. Lynch, Mrs. James Westley, Mrs. Godfrey, Mrs. Arthur Snowden, Mrs. Rennick and other well-known people. The programme consisted of a paper on "A Day in a Baby's Life" by Miss Elmes. 6 May 1908, Rosalind. By F. F. Elmes. It was strange meeting you that night. I don' t know why I had wandered down to the embankment, as well there as anywhere perhaps. The water was black, but quivering lights shot through to its very depths, seeking for long lost souls far down in a quiet bed. The city was behind me. Beside me the queer stolid stone known as Cleopatra's Needle with its aura of strange Oriental mystery blending strangely with the squalid materialism of London. "Antony," you said, and you laid a little cold hand on mine. You spoke as naturally as if you had expected to tind me there. You were not a bit surprised. You wore a close black fur hat, and a black gown, and your big eyes looked black in your pale face; even your brown hair looked black with no sunlight to warm it. You seemed a piece of the strange inscrutable black night. "From where have you come?" I asked. "From where! How do I know." You laid your arm along the stone wall and leaned your cheek on it as if you were tired. "I wander, you know, Antony. You found me in Sydney; I find you in London. The embankment is a likely enough place for both, eh? It belongs to such as me. The air round here is alive with queer thoughts—the thoughts of outcasts. Not the thoughts of busy travellers, but the thoughts of weary idlers. How many arms have not rested here, while eyes looked out dully and blankly at the mysterious water. Bah, you laughed. What a lot of pleasure we 'uns get out of our troubles. What are you doing? Still writing poems?" "I pawned my overcoat yesterday." "Have you had any dinner?" You shook your head, Rosalind. "I'll have plenty next week," you said. "Perks has promised me a place in the chorus." "With a girl who's as well off as myself." "Come home with me. I still have something to pawn I expect. Then we'll go out and have some dinner. Do you remember that last dinner in Paris?" "Dear, yes, and the pretty Italian boy at the next table who made eyes at me." "Rosalind, why didn't you tell me that I might have killed him?" "Why should I. He was such a dear boy." The stairs up to my room were dark, so we held hands, and counted the steps. Once inside I lighted a candle, and you, taking a seat on the table, pushed all my papers in a heap. "What can you pawn?" you asked, looking round the attic. What indeed! The walls were bare, the cupboard bare. Then I opened a little black box on the mantleshelf, and took out a miniature in a gold frame, and handed it to you, Rosalind. "Who is she?" you asked. "A girl in Ireland, who thinks I am going to set the Thames on fire, and marry her." "And are you going to marry her?" Your eyes narrowed a little. "Need you ask? Could I—look at me—could I marry a girl like that. Why it is sacrilege for such as I to even possess her picture. What am I? A beggar, a derelict, a failure. She shall now add one more to many kindnesses, unmerited kindnesses. Her picture shall pay for our dinner to-night." "You laughed Rosalind, and your dark eyes hardened. "She shall pay for no dinner for me, I want none." "Yet a pawnbroker's shop is a more fitting place for her than this garret." "You chose to be melodramatic. It will naturally please you to see her face in a pawnbroker's window." "I will only take the frame." "I want no dinner I tell you." You slipped from the table and moved towards the door. "I'll be indebted neither to her face nor her frame. You may. Men are like that, and women too. She would be glad' to give you a dinner, but a dinner shared with me," you laughed contemptuously, "even if I would share it." You tossed your head and straightened your shoulders. "I had no more intention of pawning that than of selling any ragged fragments that remain of my soul to the devil." "I mean it." You came back and leaned against the table; a slight little swaying figure, your hands spread on the table behind you. "One reason why you will never marry her is that you do not love her." "Oh, I know. You revere her, adore her, but you don't love her. Put her picture away. Sigh sadly, and be your real self again." "What is my real self?" "A person who'll pawn his waistcoat, and be amused if he remembers afterwards that there was a shilling in the pocket." "Well, let's pawn the waistcoat." You laughed gaily. "That'll be sixpence. Hardly enough, my Antony. How about this?" You pulled up your skirt, "Look." A bright pink silk petticoat was revealed. 14 Nov 1908, Miss F. F. Elmes has issued an enlarged edition of "The Melbourne Cookery Book," which has been published by Messrs. Fraser and Jenkinson, Melbourne, and sent to us by Mr. E. W. Cole, of the Book Arcade. 21 Nov 1908, THE HOUSEHOLD. Melbourne cookery book. 13 May 1919, LIFE OF SERVICE ENDS. WOMAN JOURNALISTS CAREER. Mrs Frances Fitzgerald Fawkner, who died from pneumonia at her home in Hammersmith, England, on February 7, was better known in Australia as Miss Frances Elmes. Her mother lives at Berwick. Mrs Fawkner was English by birth, but being only a year old when she came to this country, Australia may fairly claim her as one of its talented countrywomen. Mrs Fawkner's strong personality was an inheritance, in part at least, from her father, the late Dr. Elmes, the last years of whose life were spent at Berwick. Among other things, he acqured fame as a surgeon in the old Crimean days. His daughter early identified herself with journalism, and was a well known "Bulletin" contributor before she became permanently associated with the "Argus" and "Australasian." About 11 years ago she settled in London, and became a principal member of the literary staff of the "British-Australasian." She also succeeded as a short story writer, and ranked among the finest of women journalists. Her only published book, The Children at Kangaroo Creek, is not as well known as its merit deserves. A woman of strong personal charm, Mrs Fawkner won many hearts, and the beauty and strength of her character cemented innumerable friendships. She was always ready to hold out a helping hand to those in distress, and many Australians in London have been grateful for her kindly assistance. Subscriptions have been invited by the "British-Australasian" for a Frances Fitzgerald Fawkner memorial, which will take the form of a permanent fund to be used primarily for necessitous Australians and New Zealanders who are without friends in London. At the end of February, £153 had been received. Subscriptions may be sent to the Editor, "British-Australasian," 51 High Holborn, London, W.C.
17 May 1919, Woman Journalist's Career. Mrs. Frances Fitzgerald Fawkner, who died from pneumonia at her home in Hammersmith, England, on February 7, was better known in Australia as Miss Frances Elmes. Her mother lives at Berwick. Mrs Fawkner was English by birth, but being only a year old when she came to this country, Australia may fairly claim her as one of its talented countrywomen. Mrs Fawkner's strong personality was an inheritance in part at least, from her father, the late Dr. Elmes, the last years of whose life were spent at Berwick. Among other things, he acquired fame as a surgeon in the old Crimean days. His daughter early identified herself with journalism, and was a well known "Bulletin" contributor before she be came permanently associated with the "Argus" and "Australasian." About 11 years ago she settled in London, and became a principal member of the literary staff of the "British-Australasian." She also succeeded as a short story writer, and ranked among the finest of women journalists. Her only published book, The Children at Kangaroo Creek, is not as well known as its merit deserves. A woman of strong personal charm, Mrs Fawkner won many hearts, and the beauty and strength of her character cemented innumerable friendships. She was always ready to hold out a helping hand to those in distress, and many Australians in London have been grateful for her kindly assistance. Subscriptions have been invited by the "British-Australasian" for a Frances Fitzgerald Fawkner memorial, which will take the form of a per manent fund to be used primarily for necessitous Australians and New Zea-landers who are without friends in London. At the end of February, £153 had been received. Subscriptions may be sent to the Editor, "British-Australasian," 51 High Holborn, London, W.C.
24 May 1919, Many of the current weeklies express sincere regret at the death, from pneumonia, of a lady journalist who, as "F. F." (Frances Fitzgerald), contributed articles and sketches of striking merit to the "Argus" and "Australasian" for many years. Mrs. Frances Fitzgerald Fawkner was the daughter of the late Dr. Elmes, famed as a surgeon in the Crimean war. It is scarce a dozen years ago since she left these shores to dwell in England with her husband. Her literary work was kept up through the pages of the "British Australasian," and it was ours no more to read the ever-interesting, true-to-life, homely sketches of Australian life, which were full of a quiet humour that caused many a smile to dawn and broaden! A versatile writer, a lovable woman, has gone to her wellearned rest in dear "F. F." She leaves a little son and daughter, of whom she was passionately fond, to mourn a wise and affectionate mother's loss. [S14] Newspaper - Taunton Courier, and Western Advertiser (Somerset, England), 1 May 1867, p4. [S36] Inward & outward passenger lists to and from Victoria. Series: VPRS 14; 7666; 7667; 7786); PROV (Public Records Office Victoria), Outward Passengers. attributed to Frances F Elmes. [S65] Ancestry - various indices, The National Archives of the UK; Kew, Surrey, England; Board of Trade: Commercial and Statistical Department and successors: Inwards Passenger Lists. ; Class: BT26; Piece: 248. [S14] Newspaper - Leader (Melbourne, Vic. : 1862 - 1918), Sat 14 Jan 1911, p47. [S14] Newspaper - "Barking Dogs Disturb Neighbours." Dundee Courier, 26 Dec. 1912, p. 6. British Library Newspapers, http://tinyurl.galegroup.com/tinyurl/6nyba6. Accessed 25 July 2018. Niall, Brenda. The Boyds. Melbourne: Melbourne University Publishing, 2007. Print. Pg. 150. [S83] Online index to the UK census "Class: RG14; Piece: 3572; Schedule Number: 160." [S196] Newspaper - Dandenong Advertiser and Cranbourne, Berwick and Oakleigh Advocate (Vic. : 1914 - 1918) "Dandenong Advertiser 15 Jul 1897 (not online)." [S14] Newspaper - The Bulletin. Vol. 25 No. 1247 (7 Jan 1904). [S14] Newspaper - The Bulletin, 7 Jan 1904, p16. [S14] Newspaper - West Gippsland Gazette (Warragul, Vic. : 1898 - 1930), Tue 28 Aug 1906, p3. [S14] Newspaper - The Bulletin, 27 Dec 1906, p36. [S14] Newspaper - Critic (Adelaide, SA : 1897-1924), Wednesday 6 May 1908, page 28. [S14] Newspaper - The Bulletin.Vol. 29 No. 1507 (31 Dec 1908). [S14] Newspaper - The Bulletin, 31 Dec 1908, p28. [S14] Newspaper - Dominion, Volume 10, Issue 3036, 24 March 1917, p13. [S14] Newspaper - Sunday Times (Sydney), 11 May 1919, p13. [S14] Newspaper - Weekly Times (Melbourne, Vic. : 1869 - 1954), 17 May 1919, p38. New Zealand Times, Volume XLIV, Issue 10337, 22 July 1919, p8. Probate (Will)* 18 Oct 1860 GAY Joseph Graham. 18 October 1860. Letters of Administration of the Personal estate and effects of Joseph Graham Gay late of the City of Bristol Wine Merchant deceased who died 24 September 1860 at Crickhowell in the County of Brecon were granted at Bristol to Sarah Bamford Gay of 10 King's parade Durdham Down in the said City Widow the Relict of the said Deceased she having been first sworn. [S14] Newspaper - Bristol Mercury, 29 Sep 1860, p8. [S14] Newspaper - Birmingham Journal, 29 Sep 1860, p6. [S14] Newspaper - Westmoreland Gazette, 27 Oct 1860, p6. possibly travelling with Percy Power, aged 26 (crossed out). [S2] Registry of Births Deaths and Marriages Federation Index Victoria 1889-1901 "reg Berwick." [S11] Newspaper - Argus 21 Sep 1893, p1. 4-409-A Doxat Willie Austin W. M 24 22/09/1893 268. [S80] Ancestry - Family Tree, Weller/Jones Family Tree - Owner: Michel_Jones. [S83] Online index to the UK census "Class: RG14; Piece: 2402." 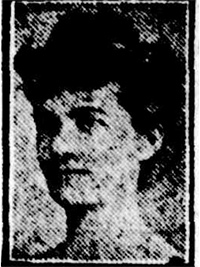 Death-Notice* 10 Oct 1918 DOXAT.-On the 7th October, Hetty, the dearly loved sister of Maud Doxat, Burlington street, Oakleigh. [S11] Newspaper - Argus 10 Oct 1918, p1. 20 Apr 1895, DEATH OF MR. R. H. FRANCIS. We regret to announce that Mr. R. H. Francis, late of the Victorian Railway department, died at his residence, Elsternwick, on Tuesday. For some considerable time he had been suffering from an affection of the liver, and a few weeks ago such serious symptoms developed that he had to take to his bed, since which time his case had been regarded as hopeless. Mr. Francis was 58 years of age, and a native of Devonshire. He joined the railway service in September, 1862, as clerk in the Melbourne goods sheds, and the following year was promoted to the position of relieving stationmaster. In 1865 he was appointed stationmaster at Woodend, and during the ensuing 12 years he filled for various periods a similar office at Kyneton, Longwood, Benalla, Wangaratta, Maryborough, and Echuca. He became stationmaster at the last-mentioned town in 1877, and in May, 1881, he was made traffic manager of the eastern system. In July, 1883, he was appointed acting-assistant general traffic manager, and five years later his promotion to the position of traffic manager was made. On the retirement Messrs. Speight, Ford, and Greene from the management of the railways he succeeded to the post of chairman of the board of commissioners on the 19th of March, 1892, his colleagues being Messrs. Kibble and Murray. During his term as commissioner he suffered from ill-health, and he closed his connection with the department on the 10th of March, 1894. Mr. Francis was twice married, and leaves a grown-up family. [S14] Newspaper - Australasian, 20 Apr 1895, p3.